In this article I’d like to show you how to write a module for Apache HTTPD. Most of the files on above are intermediate libraries genereated during compile process, what we care is the shared library, which is .so file. This is the module file that can be loaded by Apache HTTPD. The important line is at the bottom of above log, from which we can see foo_module.so is installed to the default installation location of Fedora Linux provided httpd. 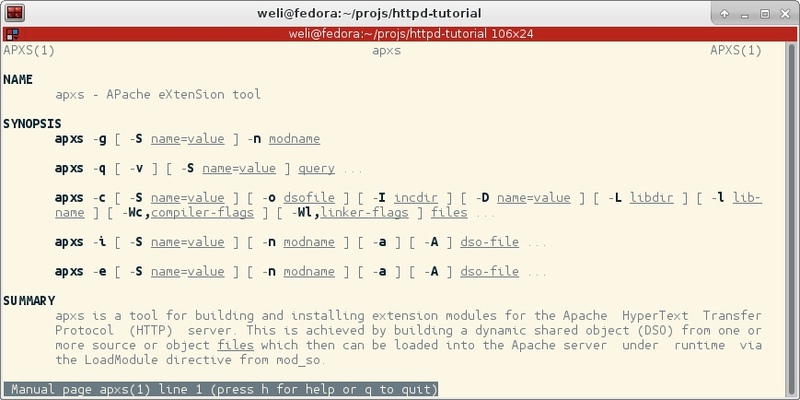 Apr 13 18:04:46 fedora.shared systemd: Started The Apache HTTP Server. As the command output shown above, our module works as expected.